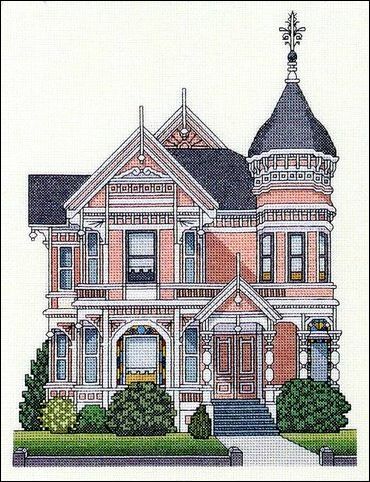 is an elegant 1889 Queen Anne located across the street from the Carson Mansion. The building is currently used for offices. The main color is more peach than pink. Stitch count is 120w x 160h.